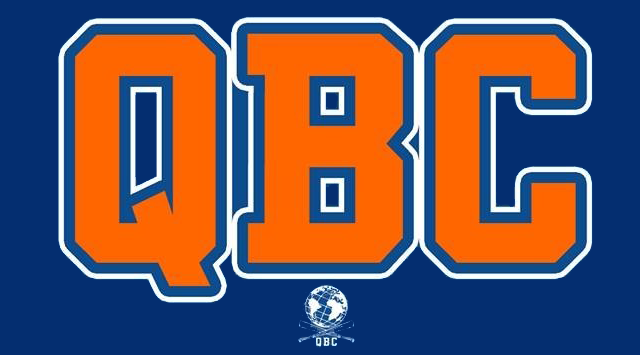 Now that the Mets have clinched the National League East, the Mets have to begin how to mold their roster for the five-game Division Series, which begins next Friday, October 9. The Mets currently hold a 1 1/2 game lead over the Dodgers for home field advantage, but really it’s a 2 1/2 game lead thanks to the Mets holding the tiebreaker over the Dodgers for winning their season series. The Mets magic number to clinch home field advantage in the Division Series is 5. The Dodgers open a four-game series with the Giants at AT&T Park on Monday. The Giants are six games behind the Dodgers with seven games to play. 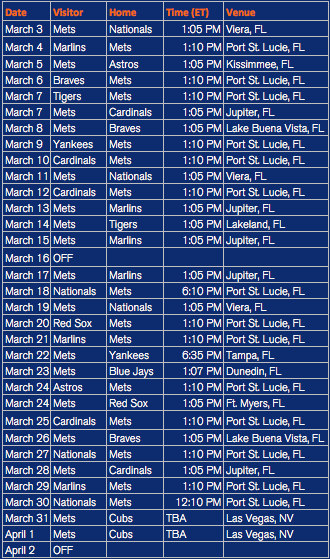 As such, here’s a look at an initial projection of how the Mets might consider constructing their postseason roster. The obvious staples on the infield are Lucas Duda, Daniel Murphy and David Wright. Both Wilmer Flores and Ruben Tejada will likely be on the postseason roster as well, although it’s not quite certain how Terry Collins might consider mixing and matching them. Throughout the year, Collins has used Tejada when he’s had a groundball pitcher on the mound, shoring up the defense at the expense of some offense. He would specifically be used when Jon Niese was on the mound and lately when Noah Syndergaard has pitched thanks to his two-seamer generating a ton of ground balls on the infield. But right now, Tejada is also producing more at the plate than Flores. He’s hitting .356 with seven runs scored, three doubles, one home run and six RBI in 22 games in September, posting a .420 OBP in the process. What’s more, Tejada is hitting .303 in the second half, so it’s not as if he’s produced a small sample to convince his manager he should be getting the bulk of the playing time. And while Flores has become somewhat of a folk hero in Flushing, his production has tailed off recently, posting just a .610 OPS with two home runs and five RBI in his last 20 games. His defense – which had been pretty solid over the last three months – has also tailed off as well. Collins said last week the staff felt Flores was tiring out, so he was going to sit for a few games. He will presumably start playing again in Philadelphia, and that would be a good opportunity for him to show how refreshed he is and produce if he expects to play consistently in October. Of course, there’s always the risk Tejada will eventually be overexposed with too much playing time as well. Collins has done a tremendous job maximizing so many people on his roster by playing them selectively, including both Flores and Tejada. So, this situation might be very fluid even into the playoffs, with Collins simply going with hot hands in order to win games. Juan Uribe’s name is noticeably absent from this roster projection, and for good reason. 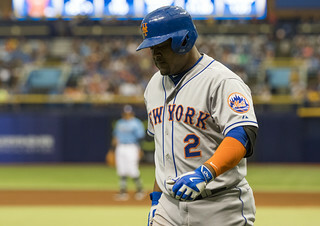 He re-aggravated his chest on Friday on a check swing, and Collins said on Saturday it was possible Uribe could miss the Division Series, or a good portion of it. So for now, he has to be left out of the equation, which opens the door for the likes of Eric Campbell and Dilson Herrera to make the team. Both of them had big games against the Reds on Sunday. Ultimately, Herrera brings more to the table for the Mets in a playoff game than Campbell. Yes, Campbell makes good contact and hits a lot of line drives, but he doesn’t have much speed and his defense is very suspect, regardless of where he plays. 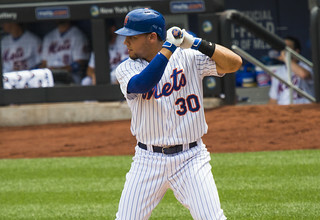 Herrera, on the other hand, can serve with Eric Young Jr. as another speedster off the bench. But unlike Young, Herrera could be used as a right-handed bat off the bench, and someone with pop at that. Herrera comes as close to duplicating Uribe in terms of his tools as the Mets have. Obviously, the intangibles are next to impossible to replace. The only tossup among the Mets outfielders is how they will be used, and even that’s not much of a mystery. Agree with it or not, but Collins has said he is unlikely to use Michael Conforto against a starting left-handed pitcher, which means Michael Cuddyer will get a lot of playing time in the Division Series with Clayton Kershaw, Alex Wood, and Brett Anderson in the Dodger rotation, Conforto will serve as a replacement against a right-handed reliever in those situations, and certainly start against Zack Greinke. The main reason for this, according to people with the team is, why fix what isn’t broken now? It’s hard to argue that point, considering where the Mets have gone with this formula. And messing around with this functional formula against someone like Kershaw probably isn’t the best thing to do. The Mets could conceivably use Juan Lagares in right field to protect Curtis Granderson from Kershaw, but Collins has hinted he’s not going to play the righty/lefty match-ups as much as he has during the regular season. and while Kershaw can be impossible to hit most of the time, he actually has reverse splits (although they’re both incredible). So, it remains how Collins ultimately plays this. Both Travis d’Arnaud and Kevin Plawecki should be the two catchers on the roster. There isn’t much to debate here. The Mets have aligned their rotation to have Jacob deGrom open the Division Series next Friday. Nothing is necessarily certain beyond that point, except for who is in the rotation. But it would seem the Mets may hold Matt Harvey back to a game three, which is by no means meant as an indictment. Rather, game three is considered the most important game of any playoff series, and Collins hinted himself on Sunday Harvey would be a guy they’d want to have on the mound in such a situation. If that’s the case, Syndergaard would likely pitch in game two, with either Bartolo Colon or Steven Matz pitching in game four. Collins said on Sunday he is still weighing Colon or Matz as the fourth starter, but he might just simply stalling at providing any kind of certainty, as Matz is the logical and more likely candidate to win the job. Both Collins and Sandy Alderson have said repeatedly all year long Matz would be a starter when he arrived in the big leagues, and he would be a starter when he returned from the disabled list. The reasoning was because Matz has never pitched in relief, and his injury history makes it difficult to put him in the bullpen. That leaves Colon, who has a limited history in the bullpen, but has already pitched in relief this season. It’s a small sample, but he has shown an ability to at least embrace the role at times in his 18 year career. 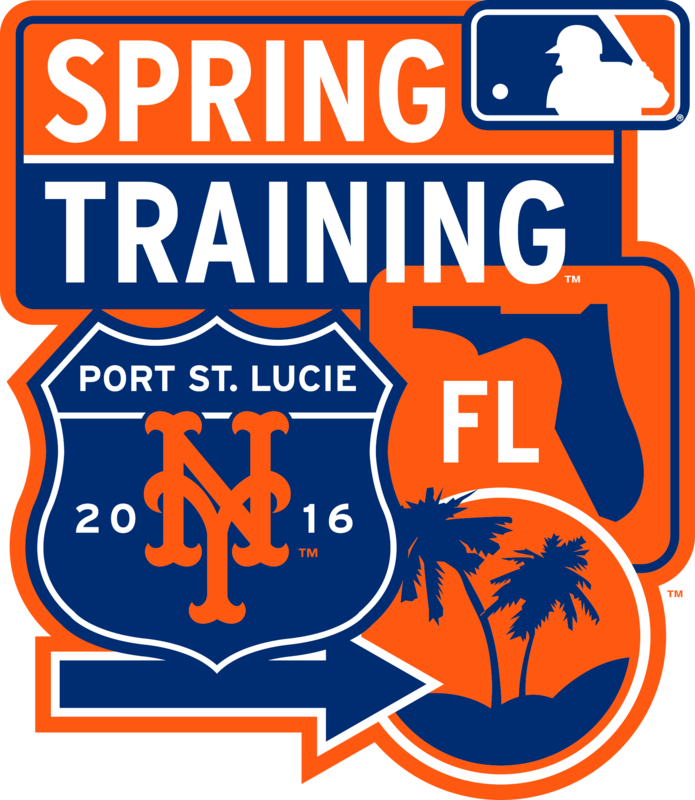 For now, it would appear Dario Alvarez is not in the equation, as Collins said on Sunday the left-hander is at the team’s minor league complex in Port St. Lucie receiving treatment only on his injured groin, and has yet to begin throwing. The good news is all three of Tyler Clippard, Addison Reed and Hansel Robles have been very effective against left-handed hitting this season, and are all more than capable of getting big outs against the likes of Adrian Gonzalez, Chase Utley, and Corey Seager late in a game. It’s unconventional and hardly ideal to go into the playoffs without a left-handed stopper, but the Mets simply do not have an option at their disposal, which will likely force them to think outside the box this fall. This roster also excludes Carlos Torres, who is slowly progressing from a strained calf he sustained on September 7, and has made one (ineffective) outing since. It’s also fair to wonder if he would be on the playoff roster in the first round, especially if the Mets have Sean Gilmartin and one of Bartolo Colon or Jon Niese serving as long relievers. Sure, Torres could be an extra arm, but he is best suited in long relief, and is more of a liability in short relief. There’s less of a need to carry the extra reliever ‘just because’ in this particular situation. The same can be said for Niese. If they can’t provide value in their roster spots, they shouldn’t be on the roster. That roster spot might be better utilized in another area of the roster, such as a speed weapon like Herrera. Erik Goeddel has a decent shot to make the roster, but for now it will be assumed the Mets will carry the extra position player in the first round, and will be left off until perhaps the next projection. 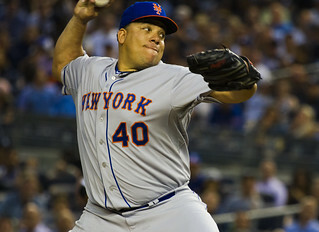 As for Colon or Niese, it’s a safer bet to conclude Colon will win the job. Niese has made one relief appearance in his career, and while Colon has only made a handful himself, the Mets will only have a handful of games to see whether or not Niese can convert into a reliever and whether or not he can adapt to the life of a reliever, get ready quick enough, and find a routine. Colon doesn’t seem to need to find that comfort zone. He has an idea, has a plan, and at least in a small sample, has shown this season he can at least get ready and get himself into the game and be effective. Besides, if there are any limitations on Harvey, Colon can provide a more stabilizing force to jump into the rotation if needed. Did I miss Kelly Johnson? I don’t see Mets going with 10 pitchers after using usually 12 and as many as 13 during the year. Terry’s system of using relievers for an inning; that starters often have high pitch counts; inning limitations and what happens if game goes to extra, leads me to believe there will at least 11. In this light, I think Niese makes the squad. Terry is anything if loyal to his players and for all the faults/limitations of Niese, he is one of the veterans of the club to say nothing that he tied for 11th for all time wins by a Mets pitcher and 9th in strikeouts. 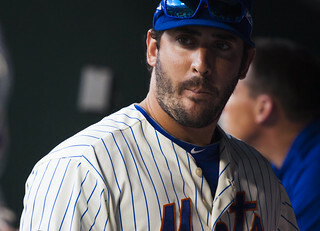 In addition, Niese will be back next year, and this would send the wrong message. If 11 pitchers, need to drop one player. Of those on Baron’s list, I drop Herrera – one game and much potential just doesn’t cut it. But I wouldn’t take EY either. He is one dimensional. For all his limitations I would take Nieuwenhuis. Provides second left hander off the bench. Has pop; also has good speed albeit not EY level; and if need be can play outfield in needed double switch situation. No Niese? Isn’t he getting moved to the bullpen this week? I just don’t believe the Mets would put both Young and Herrera on playoff roster in place of an extra reliever. Now, if it’s Herrera over Young, I’m all for that since they both have very good speed. And, Flores is 3 for 6 against Kershaw and 2 for 3 against Greinke so I would believe that he would be in starting lineup. Tejada 2 for 7 against Kershaw and 0 for 6 agaisnt Greinke. I don’t see Gilmartin over Niese or Goeddel. I really like the idea of giving Herrera a week long audition for the playoff roster. His talent level and the pitchers not knowing him could bring a little surprise off the bench. If Herrera performs you could have some speed off the bench from him and leave Young Jr. off. He’s taking a spot for just speed. He’s not elite in the field and he can’t hit much either. If it were me I’d keep Herrera on the bench, dump Young Jr. and Gilmartin. The two open spots would go to pitchers Goeddel and Niese. The way games are played today with one batter pitchers,there can never be enough. The expanded rosters only confuses the choices further. Bad for baseball, I think. Have to go with experience. Extra inning games can really cause problems, not only with pitchers but position players as well. Choices have to be made very carefully.